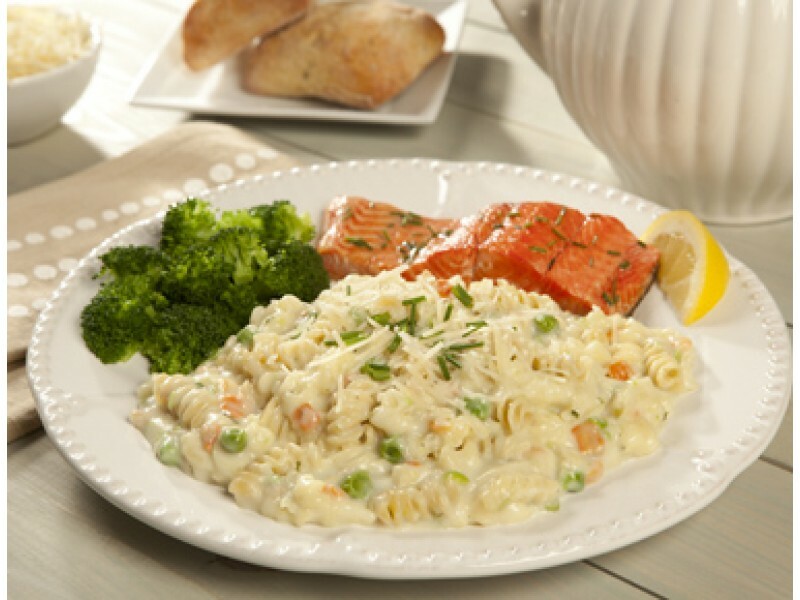 This pack includes two ten ounce servings of creamy pasta & vegetable rotini with chicken. The food cooks right in the pouch, making it one of the easiest ways to make a healthy meal on the run. The sealed packages will keep the food safe for years on the shelf, which is why this is a popular item in many people’s emergency food stockpiles. Cook as a full meal, or compliment with vegetables for a nutrient rich meal for any situation. The creamy pasta and vegetable rotini with chicken from Wise Foods is an excellent addition to any emergency food storage system. It will last for many years in the package, and is extremely easy to store away to help ensure you are prepared for any emergency. There are few things more important than having the food you need available during a disaster, and when you have this creamy pasta & vegetable rotini with chicken, you won’t have to sacrifice taste to get the long shelf life. Each pack includes two 10 ounce servings, so buy as many as you’ll need to feed your entire family. This is an extremely affordable way to start, or add to, your emergency food rations. This is a great addition to a food storage system, especially if you already have large amounts of other foods. This creamy pasta & vegetable rotini with chicken will help provide diversity to your meal planning, which is important not only for taste, but also for nutrition. This creamy pasta & vegetable rotini with chicken cooks in just 12 minutes when you add hot water, making it an ideal meal while on the go. You can cook them almost anywhere, and you can even eat them directly out of the pouch, making them one of the easiest meal options available today. ed, Maltodextrin, Natural Tocopherols), Whey, Maltodextrin, Carrots, Salt, Peas, Hydrolyzed Corn Protein, Partially Hydrogenated Soybean Oil, Corn Syrup Solids, Textured Vegetable Protein (Soy Flour), Guar Gum, Soybean Oil, Natural Flavors, Disodium Inosinate and Disodium Guanylate, Sodium Caseinate (a milk derivative), Spices, Mono and Diglycerides, Sodium Citrate, Dipotassium Phosphate, Carrageenan, Lactic Acid, Turmeric Extract. CONTAINS: MILK, SOY, WHEAT. 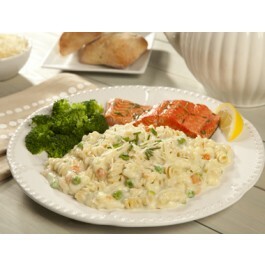 Cook in the pouch creamy pasta and vegetable rotini with chicken pasta entree. Just add hot water and wait 12 minutes. Then it's ready to eat!